Doug Verret is a high school physics and math teacher turned university physics professor turned tech industry engineer. In his over three decades of experience working in technology development at Texas Instruments, Verret has helped to develop computer chips in bipolar, BiCMOS, CMOS and embedded flash technologies which most recently have found their way in antilock brake systems, airbags, electronic stabilization, module controllers in Mac computers and various internet-of-things (IOT) applications. Verret now serves as chairman of the IAB, which consists of leaders from government, industry and academia who support the Cullen College’s ECE department in its mission to provide a world-class educational and research experience to its students. It’s a role that he’s comfortable with thanks to many years of teaching, guiding and interacting with STEM (science, technology, engineering and math) students of all ages, he said. Over the past year, Verret has joined with electrical engineering students from Rice University to conduct electronics experiments with fifth graders from Rita Drabek Elementary School in Sugar Land, Texas. Verret said he plans to recruit electrical and computer engineering students from UH and practicing engineers into the program, called Engineers Demonstrating Science – Engineer Teacher Connection (EDS-ETC), sponsored by the Electron Devices Society of the Institute of Electrical and Electronics Engineers (IEEE). Verret is now retired from Texas Instruments, but he remains a key player in the semiconductor industry. 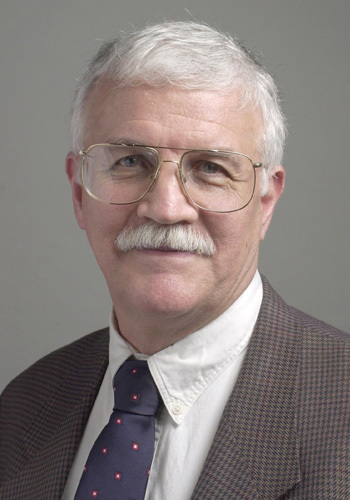 He is a member of the Board of Governors of the IEEE Electron Devices Society (EDS) and has served as CMOS editor of the IEEE Transactions on Electron Devices for five years and then editor-in-chief for 11 years. He is an IEEE Fellow and a Texas Instruments Fellow Emeritus. Verret’s words of wisdom for engineering professionals working in the technology and semiconductor industries are in high demand, but the advice itself isn’t so tech-y. “I talk to students more about soft skills than anything else,” Verret said. Don’t underestimate the soft skills. Soft skills, Verret said, include communication skills, selling yourself, networking and ability to collaborate with others, among many other things. Verret said he often encourages engineering students to pursue internships and other professional opportunities while they are still in college. With UH’s location in the city of Houston, working an internship part-time at a local company while attending classes is very doable. The timing of your application is critical. The optimal time to begin applying for jobs is not necessarily just before or just after graduation. Try to learn more about openings in the region and across the country to see how your skillsets match up to current workforce needs. Become more familiar with industry recruiting schedules to time your application more strategically. Get some help with your resume. Remember: your resume gets you the interview, and the interview gets you the job. This means that asking for professional help in developing your resume to best highlight your strengths is a great idea. And always, always send a personalized cover letter with every resume you submit to a company. Interviewing well is critical. Company recruiters will assess three factors when interviewing potential candidate for a position: a) competency, b) motivation, and c) compatibility. Do your research before every interview: know the company and its culture. After the interview is over, always follow up and send a “thank you” letter to the interviewers and make sure to tell them that you are excited by the prospect of working for their company. Learn how to speak, write and communicate well. Communication is an often-underestimated skill in the world of science and engineering, but Verret said learning how to write and speak well is one of the cornerstones to succeeding in the profession. Acquiring strong communication skills is also central to successfully collaborating within a diverse team of individuals – something that engineering professionals in nearly every field will need to do well. “Being able to communicate, write and speak at all levels of the organization – from managers and technicians to engineers, finance professionals, planners and attorneys – is a big part of what it takes to succeed,” Verret said. Acquire gender and cultural sensitivity. Being sensitive to different genders, cultures and backgrounds is key to communicating effectively and collaborating successfully with others, Verret said. Avoid common misconceptions and mistakes. Although this is only an abbreviated list of the common mistakes engineering professionals can make, keeping these ideas in mind as a new employee in the semiconductor industry can certainly be of benefit, Verret said. If you’re just embarking on your professional engineering career, Verret said one tip for expanding your network is to seek out the most knowledgeable individual either inside of or outside of your company to ask about an issue or problem you are facing on the job. “If you keep doing this, before you know it you will have 40 different people you can call on at any given time about a problem,” Verret said. What you have to offer your employer is your credibility. At the end of the day, what you have to offer your employer is your credibility. This, Verret said, is the most important piece of advice he gives to engineering professionals. Credibility, he added, is made up of four key components: technical competence, honesty, ethics and integrity. “In terms of being successful as an engineer, your credibility is at the top of the pyramid,” Verret said. Your ability to influence others and to create customer value are the next most important factors for achieving success, he added. “All of these things require the skills we already discussed, including communications skills, business acumen, networking skills, and cultural and gender sensitivity,” Verret said.